Thrombosis (blood clot) prevention: natural anticoagulant properties. Bronchial: Aids mild asthma and respiratory disorders. Ganoderma or Lucky Fungus is classed as a Superior Herb in Traditional Chinese Medicine as its revered for its ability for the attainment of radiant health, longevity and spiritual attunement. It’s health benefits are extremely broad and it sounds too good to be true – which it is! We are extremely blessed to be given the gift of this remarkable Tree mushroom. 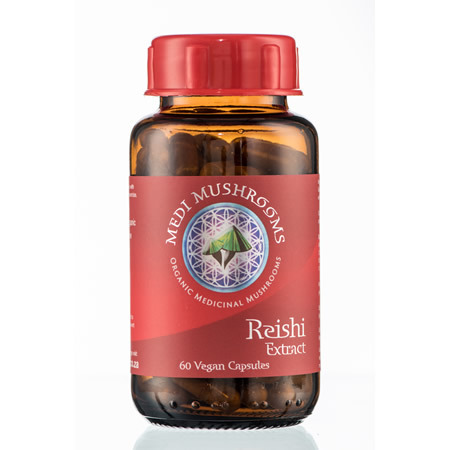 Reishi improves the efficacy of other mushrooms. Modulates blood pressure, blood sugar and brings Cholesterol into balance. Do not consume Reishi if you are using blood thinning medication, or if you have had an organ transplant. 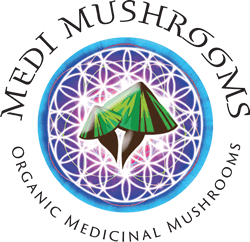 Medicinal mushroom extracts are functional foods designed by nature to work with your body holistically.